I'm a big Sublime Text fan, but I also spend a lot of time in the terminal. Naturally that involves some time in a text editor; the usual suspects are Vim, Emacs and Nano. Personally I prefer the latter; it has what I consider to be "sensible" key-bindings. So CTRL-X to quit rather than, well, a Konami code. As useful as Nano is, there's a huge disconnect between that and Sublime Text. While a terminal-based editor is unlikely to serve as an IDE, things like syntax highlighting and control over tab-spacing would be a bonus. Well, Micro provides just that. Take a look at the screenshot below, which shows it in action. A significant improvement? I would say so, and it's bridging that gap really nicely. So far, I'm very impressed and would urge you to give it a try. Pre-built nightly binaries are available for OSX, Linux and Windows, or you can build it yourself as long as you have Go installed. Have you tried it? 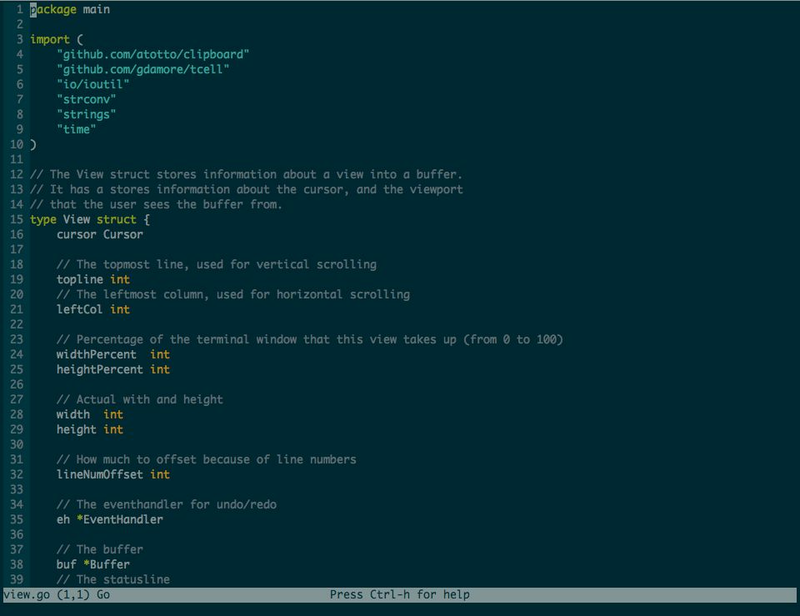 Is it likely to replace Vim, Emacs or Nano as your terminal editor of choice? Let me know in the comments.